We have participated in many IT RFPs and watched as the process dramatically missed the goals executives or the board intended. It’s not from a lack of desire to make the right choice or find a strong solution, but usually in how the organization views technology costs. 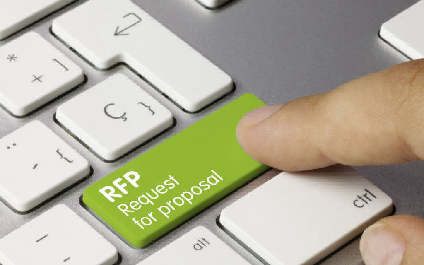 Typically when writing an RFP, organizations will ask for details on how quickly a provider will respond to issues, costs for hardware, software and cloud services, and what the monthly and one-time charges will be for addressing their issues. As a result, they receive a pile of similar proposals where everyone declares how great their process and response times are in solving problems. Organizations usually choose the lowest cost provider that answered the questions best. They then suffer for the next 3-4 years dealing with more technical issues and higher risk because of that decision. More successful organizations will look at monthly costs of IT support, hardware, software and other services as a small fraction of their overall technology costs. Forward looking organizations examine how using technology efficiently and effectively affects their payroll and staffing costs, as well as assess risks of security breaches, downtime and data loss, seeing those as much bigger costs that must be mitigated through ongoing investments in technology and process. Most IT Teams and Providers focus on how quickly they can fix problems that pop up and are consumed with firefighting issues because this is what most (if not all) of their staff are doing. They do not employ a disciplined proactive process run by a dedicated team. When this happens, an organization might have “saved” $1,000-$2,000 per month on support costs, but they really spent thousands more. The less a provider quotes on their monthly charges, the more that will translate into less proactive time and less value for you. How Can Your Organization Find the Right Technology Partner? We can walk you through several questions you can ask to differentiate between IT providers and ensure you are not choosing the best firefighter at the lowest price who will end up costing your organization more in the long run, but the partner with the best processes that will help you achieve your business goals.